Funeral services will be conducted Wednesday, September 9, 2015 at 1:00 P.M. from the Chapel of the Taylor Funeral Home with Bro. Larry Duke officiating. Place of rest will be in the Dickson Union Cemetery. Visitation will be Tuesday eveining, September 8th from 5:00 P.M. until 8:00 P.M. and on Wednesday beginning at 11:00 A.M. until time of service. Those desiring, Memorials may be made to the Parkinson's Foundation. Mrs. Richardson, age 91 of Burns,TN died September 5, 2015 at NHC of Dickson. 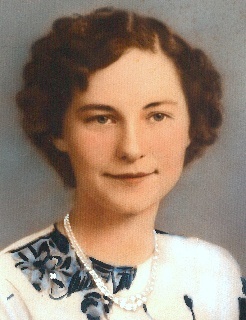 She was the widow of Ralph C. Richardson and was born in Tennessee City community of Dickson County, daughter of the late Dillard Brady and Jeanie McElhiney Fielder. Mrs. Richardson was a retired office manager with Turnbull Utilities with some 23 years of service. Along with working publicly she was a loving wife , mother and homemaker. She was a longtime member of the Burns United Methodist Church. She is survived by her son; Donald Richardson of Burns,TN and Three nephews.